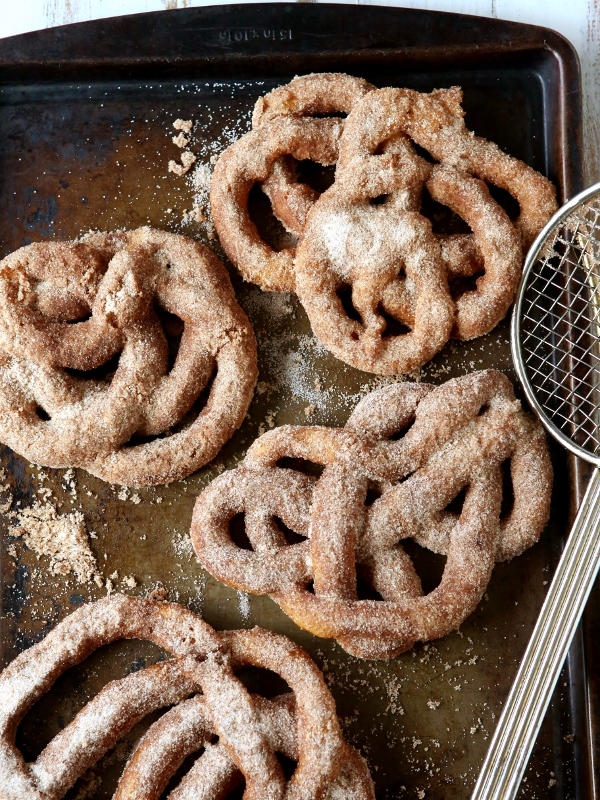 What happens when cinnamon-sugar coated Mexican churros cross with swirly fried funnel cakes? Top it with a scoop of vanilla ice cream and homemade chocolate sauce and you have yourself one decadent sundae. These were supposed to be traditional churros served with the usual chocolate dipping sauce, but I got sidetracked. As I was getting ready to make my churros I was thinking about how hard it is to pipe a straight line into a pot of hot oil; the minute the dough hits the oil it just wants to twist and turn. And then I thought— funnel cakes! 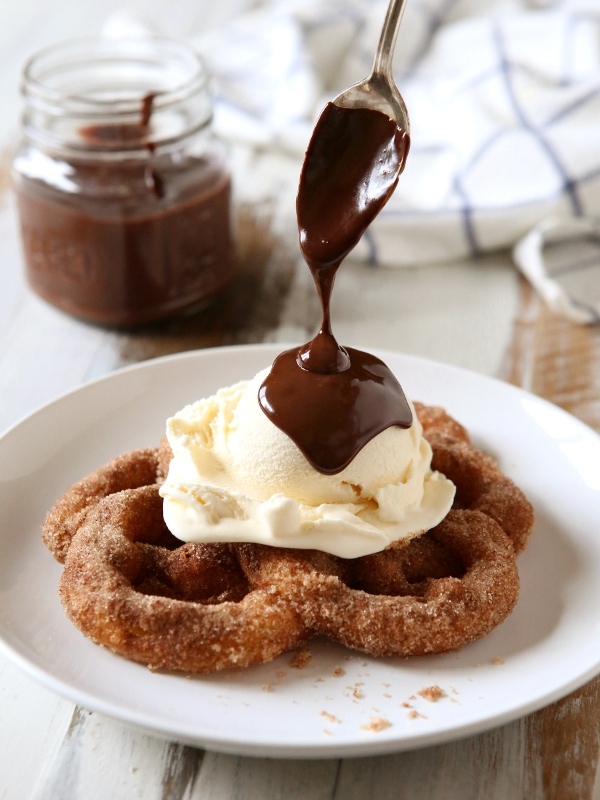 Both churros and funnel cakes are fried, both are often served at carnivals and theme parks, and both are delicious. This kind of a mashup is really a no-brainer when you think about it. Just like that my traditional churros were forgotten in favor of something so much more naughty and irresistible. 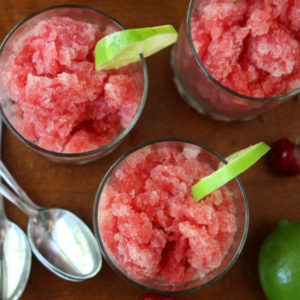 My pregnancy cravings took this dessert one step further with an added scoop of ice cream. Because I’m obsessed with ice cream right now and also because, why not? You guys, this is one of the best things I’ve eaten in a long time. It makes 6 servings, unless you happen to be pregnant and then maybe you’ll eat it all yourself. 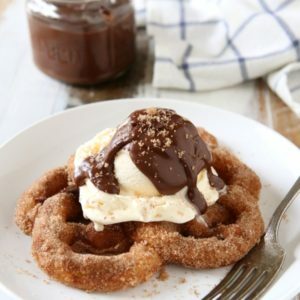 The dough for these churro funnel cakes is the same as for traditional churros— pâte à choux— which also happens to be the same dough used for eclairs and cream puffs. It all sounds very fancy, but don’t be intimidated. It’s easy. You got this. 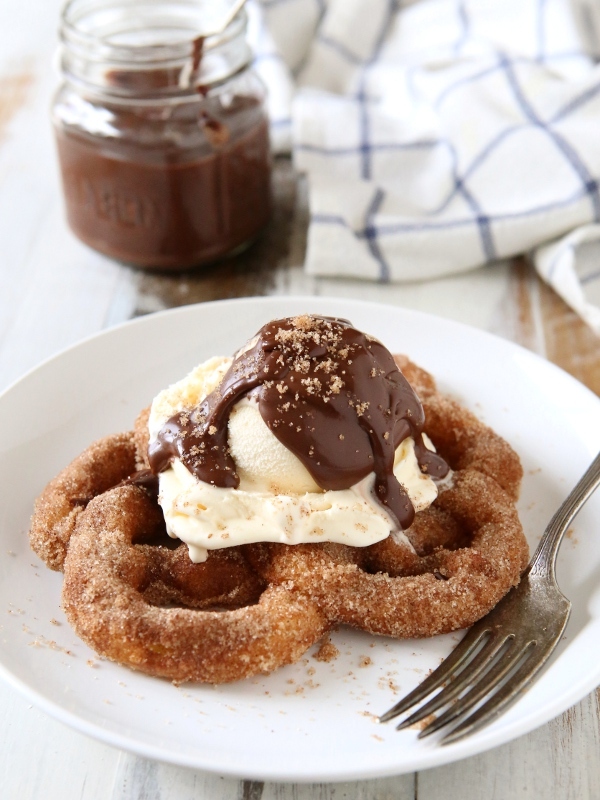 And the only real extra effort needed to turn churros into funnel cake sundaes is to buy the vanilla ice cream. Definitely worth it. 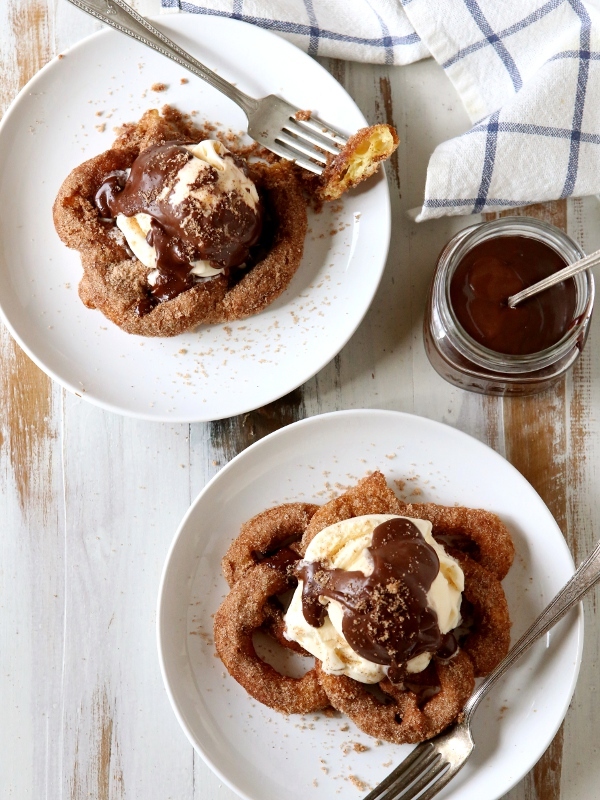 Mexican churros and funnel cakes mashed into one fabulous ice cream sundae. Combine the sugar and cinnamon in a wide shallow dish and set aside. 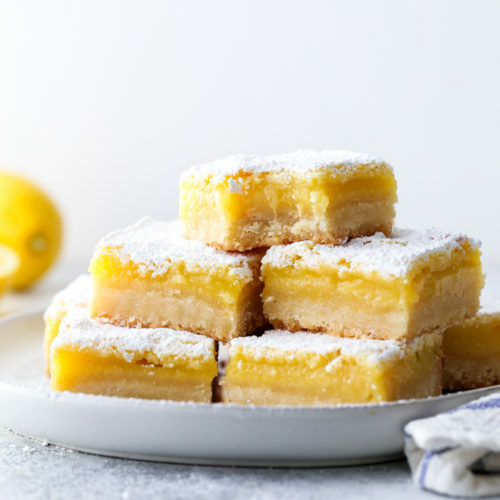 In a medium saucepan set over medium heat melt the butter, then add in the milk, water, sugar and salt. Bring the mixture just to a boil and removed from heat. Mix in the flour and stir until it becomes a thick paste. Return the saucepan to medium heat and stir continuously for several minutes as the dough dries out. Look for a thin layer of film on the bottom of the pan. Remove from heat and put the dough into a bowl of a stand mixer fitted with a paddle attachment. Mix on low for about 5 minutes or cooled slightly. Add the eggs one at a time, beating well between each addition. Pour the dough into a piping bag fitted with a medium plain tip or star tip. Bring a heavy-bottomed pot filled with vegetable oil to 350 degrees. Pipe the dough directly into the hot oil, swirling the batter as it falls in. The funnel cakes will be a little unpredictable, but aim to make them about 6 inches in diameter. Cook for about 3 minutes on each side until golden brown. Transfer to a paper towel lined sheet pan to drain for about 1 minute, then dump in the cinnamon sugar and toss to coat. 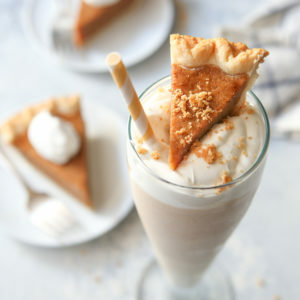 Serve immediately with ice cream and chocolate sauce. 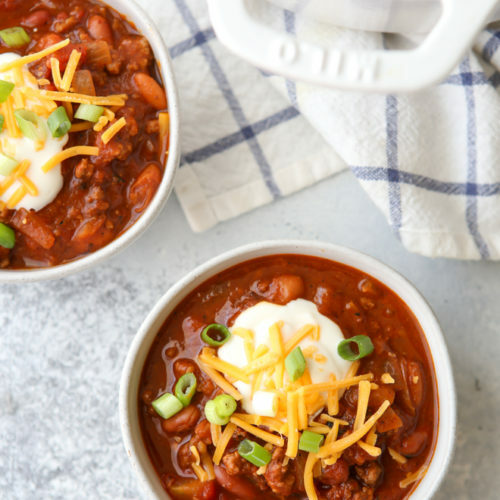 In a small saucepan over medium heat, warm the heavy cream, corn syrup and salt just until the mixture steams but doesn't quite come to a boil. Reduce heat to low and add the chocolate and cinnamon. Stir constantly until chocolate is melted and mixture is smooth. Stir in the vanilla extract. Serve the chocolate sauce warm. Store leftovers in the fridge for up to 1 week. This is lovely!! 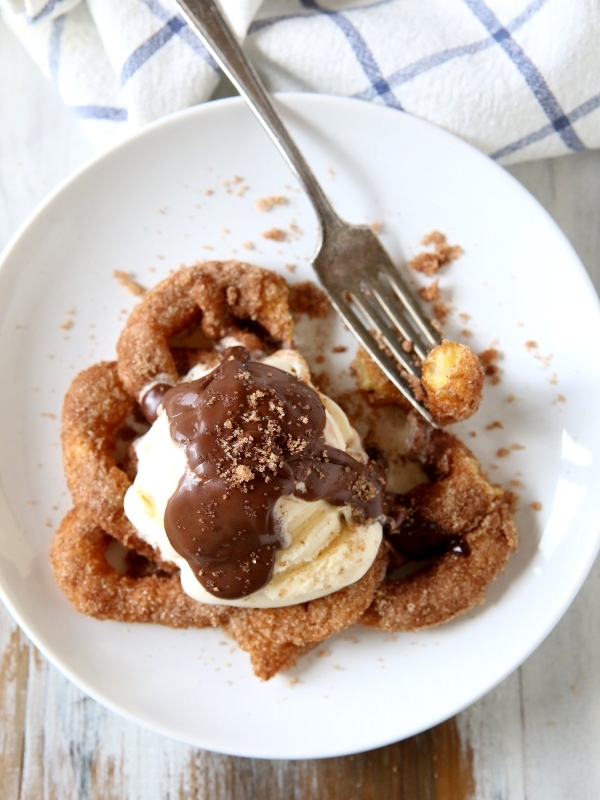 I love the churro sundae idea…whoa! This is every sort of amazing! I wish I had this right this minute! Congrats to you Stephanie!! Happy to know I’m not the only preggo lady with an ice cream obsession. The images you put up persuaded me. 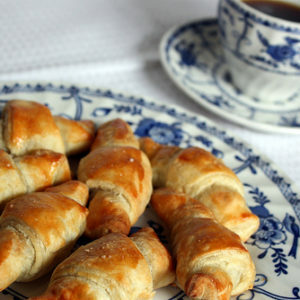 I have to cook this pastry. Can it be made with dark chocolate?